. Perhaps the most significant success of the system was its use by the Jakarta emergency management agency (BPBD DKI Jakarta). In 2015 the agency used PetaJakarta.org as an early warning system, allowing it to identify and cross-verify locations of flooding, speed up its response, and communicate with residents in flood-affected areas in real-time. 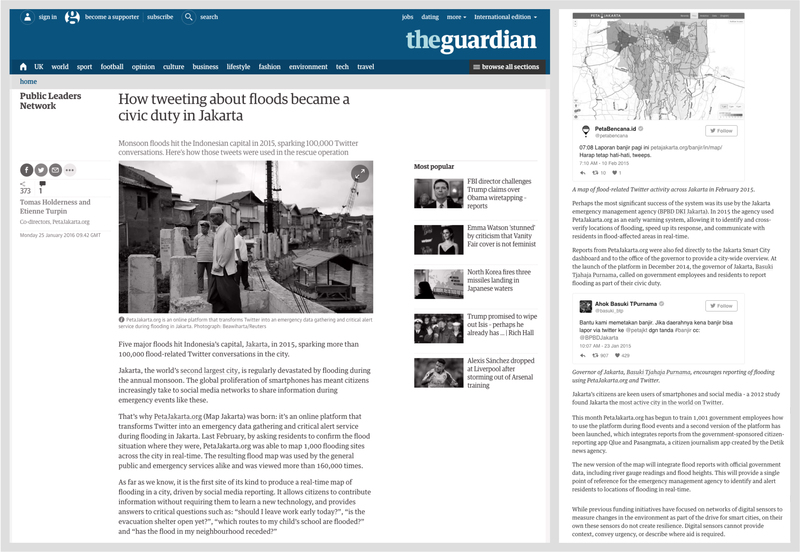 In a Guardian op-ed for the Public Leaders Network, the project co-directors highlighted the success of PetaJakarta.org in enabling the Jakarta Emergency Management Agency to increase response times and share critical information with residents during flood events.